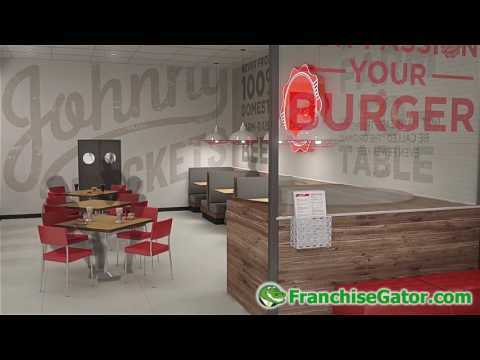 Experience the inviting charm of a classic diner re-envisioned by the next generation. Passion for food comes first here, and it’s served by staff who know a thing or two about creating a great burger. Time-honored traditions like hand-spun shakes are complimented by unique new offers like craft sodas and floats. We’ve honed our craft and boast the best burger in town. We’re willing to put our signature on every dish that leaves our kitchen. What was once an all-American restaurant has opened its doors to attain a truly global culture. We draw inspiration from cuisine and culture all over the globe. We offer best-in-class burgers, shakes and fries. What was once an offering of classic ice cream shakes becomes a select variety of hand-spun shakes with a new offering of craft soda floats. Seating is no longer prescribed by permanent booths and fastened swivel chairs. Flexibility to move tables and various types of chairs encourages our customers to engage. The jukebox played a memorable role in the previous experience. It’s time for an upgrade to the uniquely curated Johnny Rocket’s Spotify channel featuring modern remixes of some of the most popular classics. The hot rod car culture once ruled the restaurant vibe. Nowadays, customers can relate more to the bicycle as a transportation icon. One day, a long time ago, singing, dancing servers were all the rage. At Johnny Rockets 2.0, our servers share their passion for food through superb customer service. The Better Burger Category remains strong. Annual sales exceeding $360 million. 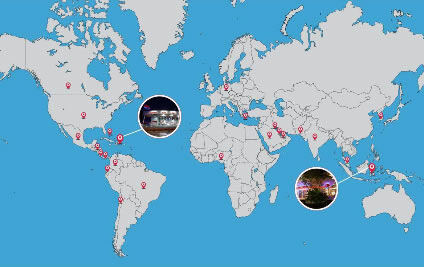 Nearly 350 Johnny Rockets around the globe, including restaurants in 35 states/districts and 26 countries. 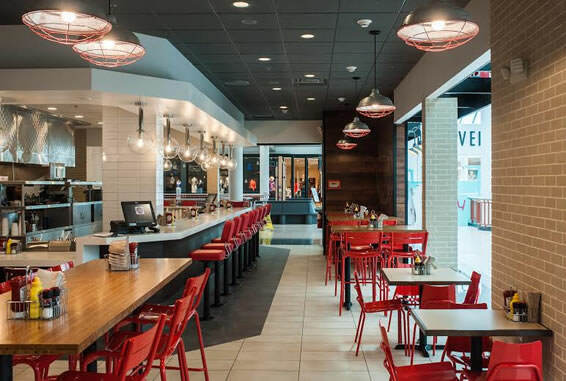 With ownership from Sun Capital Partners, Inc., Johnny Rockets is positioned for expansive growth. Select the expression that is right for you. 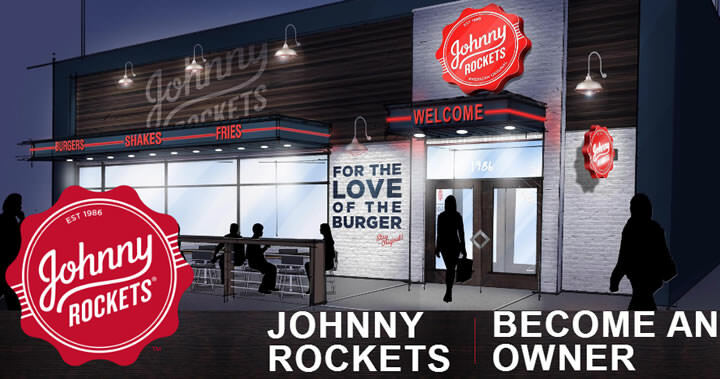 Offers a larger location to cater to guests who are seeking the traditional, dine-in Johnny Rockets experience. The traditional prototype is ideal for spaces that can accommodate full-service dining and entertainment. Offers a quick, quality experience for guests in traditional and alternative venues, including malls, arenas and airports. 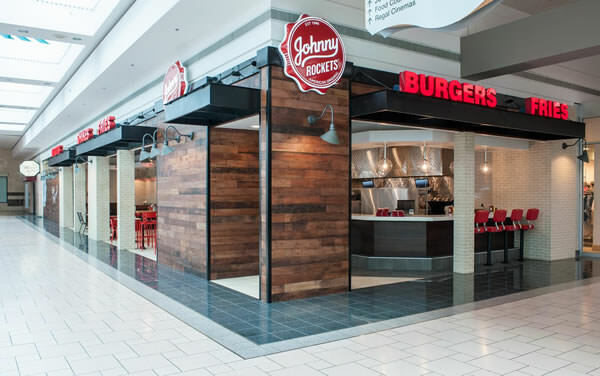 Johnny Rockets Express is ideal for developments looking to deliver an all-American experience to consumers on-the-go. Offers a quick, quality experience for guests in high-volume areas, such as exits off of major freeways. Drive-Thru restaurants are ideal for on-the-go consumers, whether they are traveling for business or simply looking for a quick bite. Please call Franchise Development directly at (949) 643-6118. 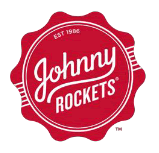 Johnny Rockets is currently accepting inquiries from the following states: Wyoming, West Virginia, Wisconsin, Washington, Vermont, Virginia, Utah, Texas, Tennessee, South Dakota, South Carolina, Rhode Island, Pennsylvania, Oregon, Oklahoma, Ohio, New York, Nevada, New Mexico, New Jersey, New Hampshire, Nebraska, North Dakota, North Carolina, Montana, Mississippi, Missouri, Minnesota, Michigan, Maine, Maryland, Massachusetts, Louisiana, Kentucky, Kansas, Indiana, Illinois, Idaho, Iowa, Hawaii, Georgia, Florida, Delaware, Washington, D.C., Connecticut, Colorado, California, Arizona, Arkansas, Alabama, Alaska.